Avoid common mistakes and legal problems. Start your free consultation now – it’s the first step toward trademarking your logo. Business owners and graphic designers invest a lot of time and money into designing a logo that really works. But it’s also wise to put some time and money into protecting that logo. So before you invest heavily in a brand and launch it, here are nine and a half things you need to know about trademarking a logo. Technically, a registered trademark is a legally-enforceable intellectual property right. It’s granted by the government to the recognised owner. There’s a formal procedure involved, because a trademark gives you a legal monopoly on the use of your brand. While running your business, you’ll use your trademark(s) to distinguish your goods and services from the ones sold by your competitors. Your trademarked logo helps customers identify your goods and services. That way they can tell they’re getting the genuine article. 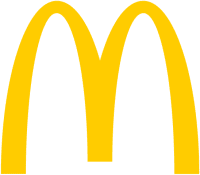 You’ll be familiar with examples like the McDonald’s golden arches. As soon as you see that logo, you know exactly who you’re dealing with. Just like the major players, trademarking your logo will help you prevent lost sales, and the loss of consumer confidence if your competitors use your brand on inferior goods or services. Please take a minute to tell us about the brand or logo you’d like to trademark, and we’ll get back to you with initial advice about how you might want to proceed. 2) WHY TRADEMARK YOUR LOGO? In the modern economy, trademarks and their associated goodwill may turn out to be your largest asset. For example, companies like Nike profit mostly from ownership their intellectual property (like the famous Swoosh logo). They focus mainly on marketing. Much or all of the manufacture (along with the operating and maintenance costs of the factories) is actually outsourced. Trademarking your logo in Australia is the most effective way of protecting your brands, along with your business’s reputation. Trademark registration grants you the exclusive right to use your logo on the goods or services you’ve registered it for. Once registered, your logo is protected throughout Australia. It also gives you a head start on registering overseas. That’s handy if you want to operate in foreign jurisdictions as well. If it comes to it, owning the trademark gives you the right to take legal action against infringers. Other people infringe your trademarked logo when their brand is likely to confuse consumers. Under law, you can compel them to stop using an infringing trademark. It stops them from profiting from your company’s goodwill. You also gain the right to assistance from Customs (Australian Border Force). They can help stop imports of counterfeits from overseas. A good trademark will increase in value as your business grows over time. Once you’re well-established, you can also license your trademark. Having a trademark for the logo will be essential if you intend to franchise. And securing the trademark for your logo will be a critical part of a potential buyer’s due diligence, if you ever decide to sell your company. 3) HOW CAN YOU TELL IF A SIMILAR LOGO IS ALREADY TRADEMARKED? A professional trademark search will help you to find out whether someone has already taken your proposed brand. The initial trademark search can be narrow in scope, covering just the official Trade Marks Register (ie the database maintained by the government regulator, IP Australia). That’s because their database includes registered marks and pending applications. It will show whether someone’s already registered your proposed trademark with the government. A more comprehensive trademark search would look much more widely for evidence of business name registrations, web sites and other common law use of a brand or logo. This will reveal whether your brand’s already being used by one of your competitors, even if they haven’t registered it with the government. [Learn more about trademark search and how we can help]. 4) TRADEMARK YOUR LOGO, OR TRADEMARK YOUR BUSINESS NAME? Remember, even if you register your business name, that doesn’t give you any intellectual property rights. To protect a business name, you’ll need to trademark it. The best way to protect your brand is to separately trademark both the logo and business name. This offers the greatest protection, and the greatest amount of flexibility. However, you may be constrained by price, or by existing trademarks, or by trademark law itself (ie the Trade Marks Act 1995). In those situations you may have to make a difficult decision. When price is a consideration, it is often best to trademark the business name. A plain ‘word mark’ is the strongest available option. However, they are also harder to register. In cases where you can’t trademark your business name, or are already committed to the logo, trademarking the logo seems the obvious answer. But it’s often possible to split the difference with a ‘composite mark’. That is, a version of the logo that also features the business name. A composite mark brings some of the advantages (and disadvantages) of the other two types. It can be a cost-effect option that is easier to register. As you can see, it’s usually a case of finding the right balance. First, there’s the scope of protection you want to have. Then there’s your prospects of succeeding in your application. Finally, there’s the overall cost. Every situation differs, and it often comes down to what makes best sense under existing legislation. The legislation and case law can be very confusing. So it’s wise to consult a trade mark attorney before making your decision. 5) WHERE SHOULD YOU TRADEMARK A LOGO? There’s no such thing as an international trademark, but it’s certainly possible to register in more than one jurisdiction. Generally it comes down to where you intend to trade, and the cost of filing multiple applications. We recommend starting with where your business is registered, and then expanding from there as necessary. Some businesses are primarily concerned about eligibility for the Amazon Brand Registration scheme. For them, we’d note that it is relatively low-cost and quick to register a trademark in Australia. 6) WHEN SHOULD YOU TRADEMARK A LOGO? In Australia, the first person to use a brand for a given type of goods or services gains common law rights to use the trademark. However, these automatic common law rights are difficult and expensive to prove or enforce. That’s why it makes best sense to start trademarking your logo early on, before someone beats you to it. The initial trademark search will provide some reassurance that no one else is already using the brand. Plus, international treaty obligations put time limits on the process of examination and registration. This will take at least 7.5 months (backdated to the day you file your application). So once you’re confident that a logo is going to see commercial use, it’s time to look at a trademark. On the other hand, if you’re not confident a logo will see commercial use, or if you expect that it will change fairly soon, it probably makes best sense to wait and see how things turn out. Granted, trademarks aren’t highly expensive. Certainly not when costs are averaged over the life of the initial registration. But the costs can mount up if you re-file for variations on a logo. 7) WHO OWNS THE TRADEMARK TO A LOGO? Trademark ownership comes down to use, in most jurisdictions. It’s possible for copyright to vest in the designer. But the trademark rights belong to the business owner who first uses the mark (in a way that meets the legal requirements). 8) HOW DO YOU TRADEMARK YOUR LOGO IN AUSTRALIA? The easiest way to register a strong, enforceable trademark for a logo in Australia is to engage a trade mark attorney. Trade mark attorneys are registered with (and recognised by) the Australian government. They’re specially qualified to do trademarks work. A registered trade mark attorney can help you with trademark advice, trademark searches, and registering a trademark in Australia. You can also get advice and help resolving trademark infringement and enforcement matters. Most trade mark attorneys offer other related services as well. The first step is to do a trademark search. That’s our opportunity to find out whether your logo is actually available to register or use. Searching is a fine art. Assuming the search is favourable, the next step is to file a trademark application for your logo with the Trade Marks Office. Our trade mark attorneys will work with you on this. It’s important to correctly specify the classes of goods and/or services that relate to your brand. This ensures your trade mark protection is not too narrow, not too broad, and no more expensive than necessary. After filing your application, the Trade Marks Office will examine it. They check to make sure the application’s in accordance with the trademarks legislation. If they find any issues with the application, the Trade Marks Office will issue an ‘adverse report’. To overcome those issues, we would then prepare and file submissions or amendments on your behalf. If there are no objections, or if the objections are satisfactorily overcome, the Trade Marks Office will accept your application. Then they publish (‘advertise’) it online in the Australian Official Journal of Trade Marks. This begins the two month opposition period. Members of the public then have the opportunity to raise any issues with your logo. Assuming this goes well – and it usually does – the trademark for your logo will be officially registered in Australia. The overall process from filing to registration takes at least seven and a half months. That’s because of our international treaty obligations. Afterward, the trademark for your logo can be maintained as long as you continue using it. You’ll need to pay the renewal fees every 10 years. 9) WHAT ARE THE REQUIREMENTS TO TRADEMARK A LOGO? Trademark registration is governed by the Trade Marks Act 1995, the Trademarks Regulations 1995, and Australian case law. The Trade Marks Office (at IP Australia) is the regulator that examines Australian trademark applications. For present purposes, let’s assume the logo in question isn’t ‘scandalous’, forbidden from registration or otherwise contrary to law. The first basic requirement is that your proposed trademark must be able to distinguish your business (within the relevant class of goods and services) from other traders. You won’t be able to register your trademark in Australia if your proposed mark is something that fair-minded businesses would want to use (for example a descriptive word, a geographic name or a common surname). The second basic requirement is that your proposed trademark can’t be too close to existing trademarks. That includes registered trademarks, applications currently being considered, and the marks of businesses with very well-known reputations. However, if those trademarks are in completely different industry sectors, you may be still be able to trademark your logo. That’s how Apple (Computers) managed to get a trademark even though Apple (Records) already owned a registered trademark for that name. It’s also possible to get past these requirements if you’re already using your trademark and can prove that you have a reputation in your market. However, that’s an expensive and potentially tricky job. It’s far easier (and less expensive) to simply choose a trademark that fits the two basic requirements above. Under Australia’s trademark legislation, the first applicant to use a mark is entitled to ownership of the mark. If challenged by another trademark owner (or vice versa), you may have to prove that you were the first to use the mark in question. Whether you’re testing the waters with our free trademark search, or are ready to trademark a logo in Australia, we can help with quick, easy and budget-friendly trademark services. Naturally we’d be glad to have a chat about any other questions you might have about trademarking your logo. If so, just use the quick contact form below, or visit our free consultation page. Let us know your questions, and we’ll get back to you directly.